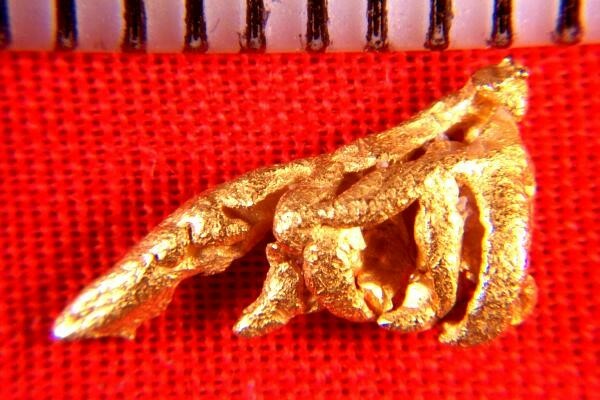 This is an amazing natural wire gold crystal nugget from the jungles of Venezuela. The wire crystals are interlaced and connected in a shape like an Ant-Eater. You can see the long nose and the legs, truly amazing. It was recovered in Zapata, just outside of Ikabaru, near Santa Elena de Uairen in Venezuela. This gold crystal is very rare and spectacular. It is 1/2" (12 mm) long, weighs 18.4 Grains (1.2 Grams), and it has a truly spectacular crystal structure. 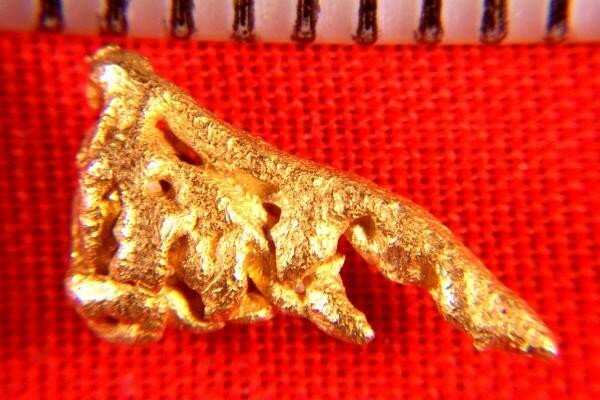 This very rare and unique gold specimen would make a stunning addition to your gold nugget collection.